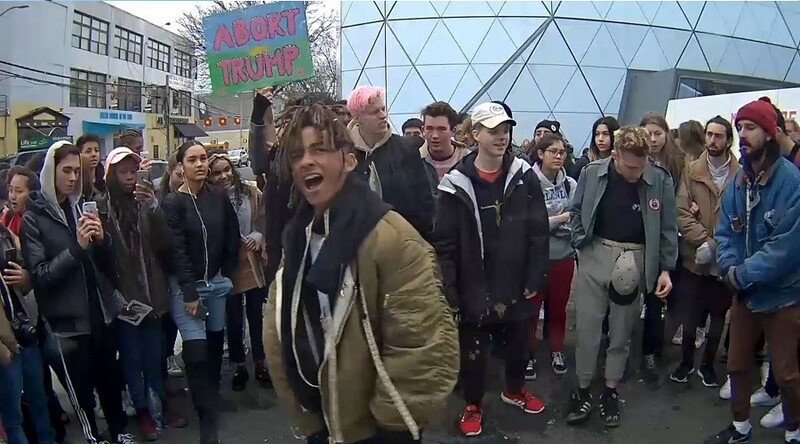 Actor-turned-performance artist Shia LaBeouf has had his anti-Trump protest installation shut down after it became a “flashpoint for violence.” The New York City exhibit was supposed to last as long as President Donald Trump is in the White House. The “He Will Not Divide Us” exhibit ‒ a 24-hour live webcam outside the Museum of the Moving Image in Queens ‒ began three weeks ago, the day Trump was inaugurated. It “invited the public to deliver the words ‘He will not divide us’” into the camera, “repeating the phrase as many times, and for as long as they wish,” the museum said. "How are we going to make this sh*t OK to be a Nazi out here?" LaBeouf asked in response. It was not the only altercation between the 30-year-old star and those who disagreed with his message. Previous video from the live stream shows a heated LeBoeuf at the site shouting down an alleged white supremacist who attempted to sabotage the installation. Another video shows him licking the face of a counter-protester. There were “numerous arrests” at the exhibit, and the New York Police Department started patrolling the area around the clock due in part to “dozens of threats of violence,” the museum said. 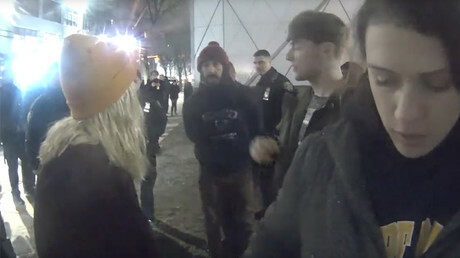 The “He Will Not Divide Us” exhibit was started by LaBeouf and artists Rönkkö & Turner. Actor Jaden Smith, 18, and LaBeouf kicked off the livestream by chanting the words into the camera on January 20. “We are proud to have launched this engaging and thought-provoking digital art installation which was experienced by millions of online viewers worldwide,” the museum said. “Until public safety concerns overrode the intent of the installation, HEWILLNOTDIVIDE.US generated an important conversation allowing interaction among people from many backgrounds and with different viewpoints,” it continued. “However, ending our engagement with the installation is the most prudent path forward to restore public safety to the Museum, its visitors, staff and the community."